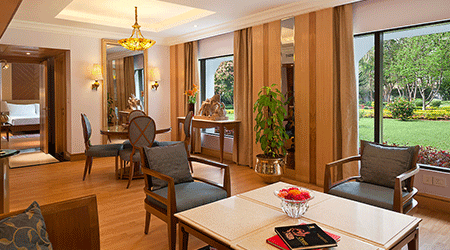 Trident Hotels falls under the aegis of The Oberoi Group. 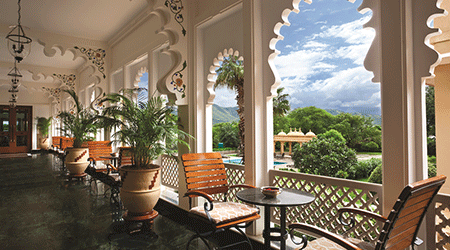 The Oberoi Group has presence in six countries under the luxury 'Oberoi' and five-star 'Trident' brand. 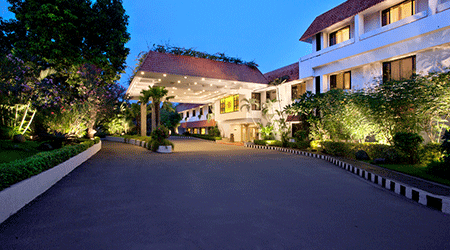 Founded in 1934, it operates 30 hotels, a Nile Cruiser and a Motor Vessel in the backwaters of Kerala. The Group is also engaged in flight catering, airport restaurants, travel and tour services, car rentals, project management and corporate air charters. Trident hotels are five-star hotels that have established a reputation for excellence and are acknowledged for offering quality and value. These hotels combine ideal locations with state of the art facilities and dependable service in a caring environment, making them the ideal choice for business and leisure travellers. 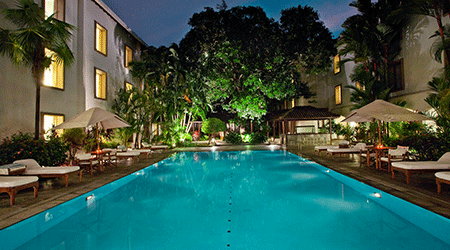 At present there are ten Trident hotels in India. 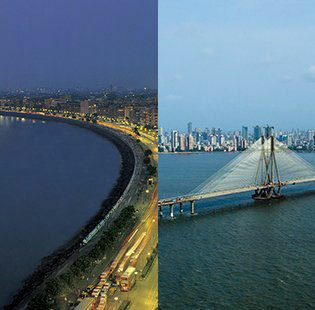 These are located in Mumbai at Bandra Kurla and Nariman Point, Gurgaon (Delhi National Capital Region), Hyderabad, Chennai, Bhubaneshwar, Cochin, Agra, Jaipur and Udaipur. 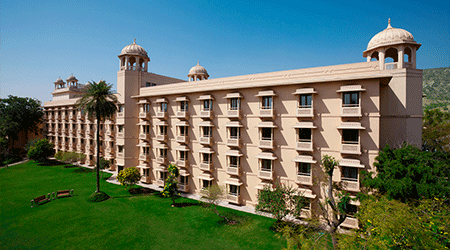 The Oberoi Group also operates a Trident hotel in the Saudi Arabian city of Jeddah. Oberoi Hotels & Resorts is synonymous the world over with providing the right blend of service, luxury and quiet efficiency. Internationally acclaimed for all-round excellence and unparalleled levels of service, Oberoi hotels and resorts have received innumerable awards and accolades. The Group's luxury hotels have established a reputation for redefining the paradigm of luxury and excellence in service amongst leisure hotels around the world. The Group's commitment to excellence, attention to detail and personalised service by highly motivated and well trained staff has ensured a loyal list of guests and accolades in the worldwide hospitality industry. 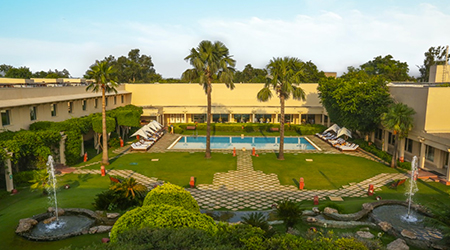 Recognising the importance of quality training in hospitality management, The Oberoi Group established The Oberoi Centre of Learning and Development in New Delhi in 1966. Today, this institution is considered amongst the best in Asia with approximately 100 students graduating each year. The Oberoi Group is committed to employing the best environmental and ecological practices in technology, equipment and operational processes. The Group also supports philanthropic activities and is a keen contributor to the conservation of nature and cultural heritage. The Oberoi, Dubai in the United Arab Emirates opened on 15th June, 2013. The Oberoi, Dubai is a luxury hotel and has 252 rooms and suites. 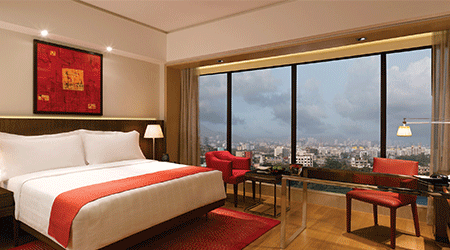 Trident, Hyderabad opened on 1st September, 2013. 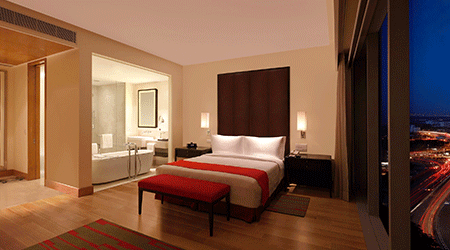 Trident, Hyderabad has 323 rooms and suites.